Other Thoughts: I have two of these in a Asus Z390 e-gaming board. Booting to windows is less than 5 seconds from power button to signing in automatically. I don't know why it's so expensive on Newegg better deals elsewhere. The Migration software provided by Samsung is great. Other Thoughts: Using in a Ryzen based HP laptop and it is very fast. Haven't had any errors yet. Other Thoughts: Very good drive. I love that it takes hardly any space, the transfer rates are great but for the average person and even most gamers NVMe isn't worth spending a lot more for over a SATA drive. But if you transfer VERY large files pretty often you can take advantage of that. If you see one on sale over all definitely worth it. 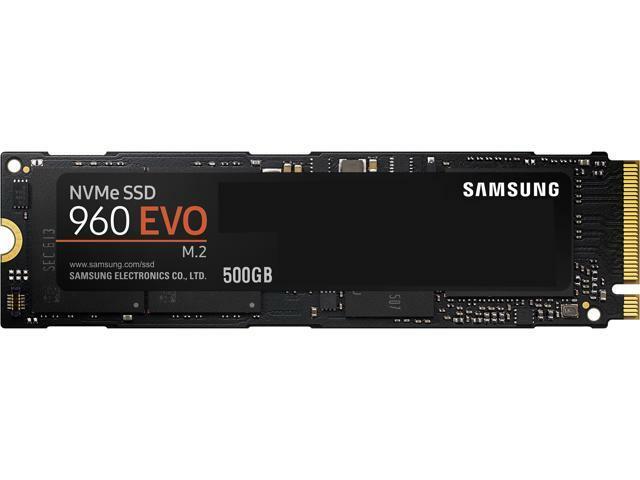 but if you can get a much larger SATA SSD for the same price then you might want to check your work load to see if an NVMe would be beneficial over more space. Cons: Can't saturate the bandwidth, TOO FAST! Other Thoughts: Product as advertised, for a change. Buy it! Other Thoughts: My friend and I both got one of these, his and mine have both been stable and responsive. My only complaint I have not been able to troubleshoot and I suspect it will be resolved with a new mobo.